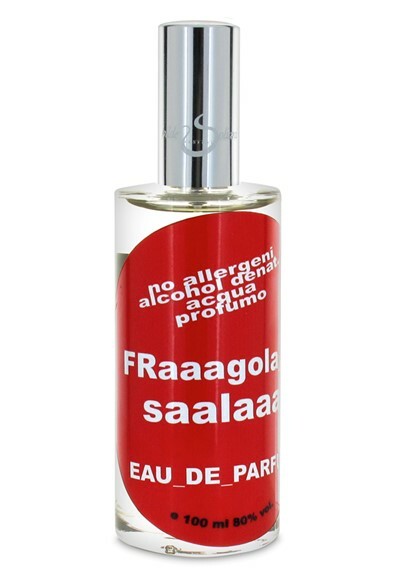 Fraaagola Saalaaata, a surprising mix of strawberries and… salt, is a playful, unexpectedly subversive scent, a composition with two sides, sweet and forceful. Elegant and humorous, the perfume is like no other that we know. Try as we might we can’t come up with anything like its unique mixture of pulpy, juicy, fruity innocence and strangely saline, at times almost earthy sensuality. Simple and enigmatic, sweet and fresh, summery and deep…This is haute cuisine, or rather haute parfumerie at its absolute best! The wittiest strawberry cotton candy imaginable, with a great carnival-midway overall effect thanks to that dry salt note. More fragrances should make one laugh out loud, don’t you think? unique and beautiful. Luscious, fresh, sweet strawberry with salt. At first a little candy like but within minutes becomes a more natural sweet strawberry scent. Love the added salt. Makes me think of a strawberry cocktail with salted rim. Yum! I bought this a couple of years ago and love it as I did then. I only use it for special days in the Summer and the scent stays true. Lovely strawberry scent toned down with salt. Salt Water Strawberry Taffy! I can almost taste it! Everything others have said, very unique, special, beautiful and expensive (a little too $) but it is dear memories, a gelato stand on the top of the hill at the beach in Camogli, childhood memories, dolls, kisses, tarts… the most beautiful strawberry. Love but will hold on buying until I have the cash…love though!! Its very nice and sweet. I would never pay 200 dollars for this. There just isnt enough wow factor for that. Its pleasant for those who love sweet fragrances. Fraaagola saalaaata is genius. “Hmmm, light, sweet strawberry candy, ho hum, what a pity” I thought at first sniff. Suddenly, my mouth started to water as if I’d eaten something salty. I adore salt and often get teased “Would you like some dinner with your salt?” by my husband. A gentle, candy-like cloud followed me throughout the day, pleasant enough – but the salt! I thought it smelled like burning plastic, up close, but an inch away, I repeatedly got wafts of salt. Incredible! I will definitely try Hilde Soliani’s others, as I’ve already got and appreciate the classics – I want surprises! This is ambrosia, with whipped cream and all. It’s a beautiful summery fruit salad of mostly strawberries and cream. As it dries down, it becomes softer and sweeter. The underlying saltiness makes me think I am at Atlantic City walking the boardwalk and enjoying a strawberry salt water taffy. It’s a very happy perfume. I also detect just a hint of spice, closer to my skin. It has a good sillage, maybe 4 or 5 feet, with just a moderate spritz to the wrists. Not overwhelming, just very ambrosia. This frag makes me joyful, and whenever I wear this I get the inclination to frolic about. True to its notes, it is definitively strawberry with a touch of salt. No sugary drollness here. I have to agree that even though the idea of strawberries attracts a younger crowd, this scent will work well with all ages. I just ordered a buch of samples and was surprised this was one of my favorites. It’s just a very pleasant, light strawberry scent, something that could be worn to work and wouldn’t offend anyone. Would love to buy a bottle but the price is ridiculous. Maybe if it goes on sale. Would give it 5 stars but I’m subtracting one because it’s so overpriced. It’s wonderful, beautiful, and a gift to smell this good! The opening notes of strawberry last and the dry down though much softer is perfect for getting closer to find the source of the lovely fruitiness. Luckyscent did well describing this perfume. It is all those thing indeed. I can’t stop smelling my arm. It’s yummy, pulpy, and fun. I almost tend to smell raspberries though and not strawberries. Weird right? Or maybe it’s a combo of raspberries and strawberries? Either way, I know it’s only strawberries in the notes but on my skin it does smell that way. I can also smell the saltiness. Very cool fragrance!! Sweet but not simple fruity sweetness. Unlike aything I have ever smelled. I’m looking for a signatire scent and this may be it. It’s like candy–love it! I’m 40…not a teen, and this is just f-u-n! Definitely a stand-out. Too bad there’s only one option…the $200 bottle. It would take me FOREVER to use that much. Unlike aything I have ever smelled. I’m looking for a signatire scent and this may be it. It’s like candy–love it! I’m 40…not a teen, and this is just f-u-n! Definitely a stand-out. This smells exactly like strawberry saltwater taffy, and nothing else…no high minded “salted strawberry”, etc. It’s very, very good at what it does though! This smells exactly like a Strawberry Italian Soda. Strawberry syrup and seltzer. I can almost feel the bubbles tickling my nose. I have applied it thrice via my sample and I obtain the same memory immediately: play dough or plasticine from childhood. Different: I love smelling it on me. I haven’t had any reactions from others yet, but again, my sample is my treasure so I am being cautious with use. Libellula – thank you so much for the translation. I am happy to know the name actually means “salted strawberries” (as opposed to the incorrect ‘strawberry salad’, which isn’t as fitting at all.) After ‘living’ with this perfume for a while (I like it so much I’ve ordered samples twice!) I find that I actually can smell the salt. This is a wonderful fragrance; if you’re looking for something different, this is it. It probably is best worn during summertime, though. I haven’t tried this one yet (so I will give it a 5 for the name), but I did want to clarify that fragola salata means “salted strawberry”, whereas “insalata di fragole” would be the correct wording for strawberry salad. Thank you, Hilde, for such clever Italian names. 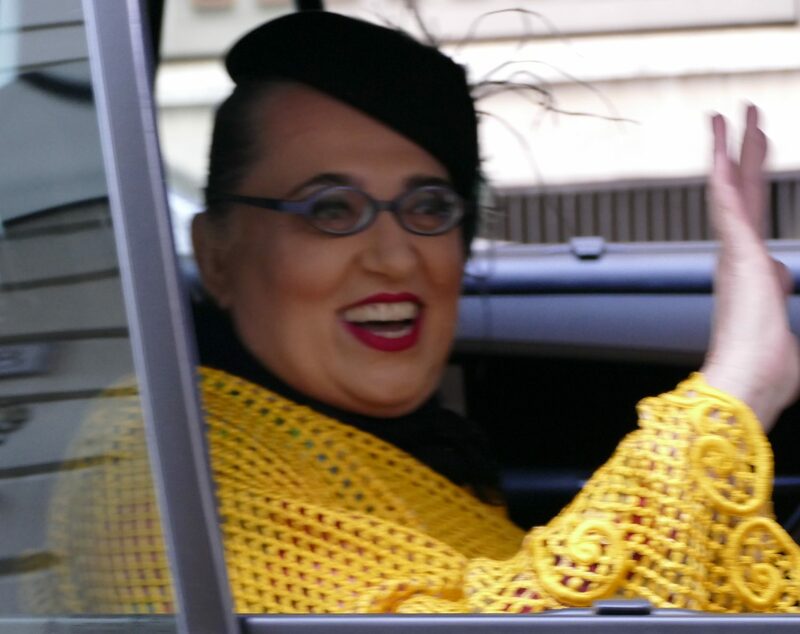 Fammi sognare ancora, bellezza! Un bacio-ciao!